The purpose of this Sample Question Set is to provide you with information about the CompTIA A+ exam. These sample questions will make you very familiar with both the type and the difficulty level of the questions on the 220-901 certification test. To get familiar with real exam environment, we suggest you try our Sample CompTIA A+ Certification Practice Exam. This sample practice exam gives you the feeling of reality and is a clue to the questions asked in the actual CompTIA A+ certification exam. The purpose of this Sample Question Set is to provide you with information about the CompTIA A+ exam. These sample questions will make you very familiar with both the type and the difficulty level of the questions on the 220-902 certification test. To get familiar with real exam environment, we suggest you try our Sample CompTIA A+ Certification Practice Exam. This sample practice exam gives you the feeling of reality and is a clue to the questions asked in the actual CompTIA A+ certification exam. The purpose of this Sample Question Set is to provide you with information about the CompTIA Document Imaging Architect exam. These sample questions will make you very familiar with both the type and the difficulty level of the questions on the CD0-001 certification test. To get familiar with real exam environment, we suggest you try our Sample CompTIA CDIA+ Certification Practice Exam. This sample practice exam gives you the feeling of reality and is a clue to the questions asked in the actual CompTIA Certified Document Imaging Architect+ (CDIA+) certification exam. These sample questions are simple and basic questions that represent likeness to the real CompTIA CD0-001 exam questions. To assess your readiness and performance with real time scenario based questions, we suggest you prepare with our Premium CompTIA CDIA+ Certification Practice Exam. When you solve real time scenario based questions practically, you come across many difficulties that give you an opportunity to improve. The purpose of this Sample Question Set is to provide you with information about the CompTIA Cloud Essentials exam. These sample questions will make you very familiar with both the type and the difficulty level of the questions on the CLO-001 certification test. To get familiar with real exam environment, we suggest you try our Sample CompTIA Cloud Essentials Certification Practice Exam. This sample practice exam gives you the feeling of reality and is a clue to the questions asked in the actual CompTIA Cloud Essentials certification exam. 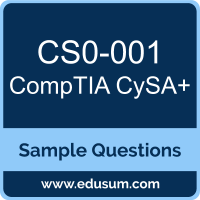 The purpose of this Sample Question Set is to provide you with information about the CompTIA Linux+ Administrator exam. These sample questions will make you very familiar with both the type and the difficulty level of the questions on the LX0-103 certification test. To get familiar with real exam environment, we suggest you try our Sample CompTIA Linux+ Certification Practice Exam. This sample practice exam gives you the feeling of reality and is a clue to the questions asked in the actual CompTIA Linux+ Powered by LPI certification exam.